You have been trying to sell your home for months. You followed everything your agent advised you to do. You kept the home clean. You refilled the property flyers in the info-box attached to the For Sale sign every morning. You left the house before each showing. And... still your home has not sold. Why? There are 3 main reasons why a home doesn't sell. They are Price, Condition and Marketing. Is your Pasadena home priced correctly in today's market? The pendulum has quickly swung from the seller's market to the buyer's market. A Pricing Strategy (fixed pricing vs. range value pricing) in line with the local real estate market trends is critical to selling your home quickly and for the most money. Another serious consideration in today's real estate market is understanding the various financing programs available to home buyers. There are programs that make it easier for buyers to qualify for the loan and have lower monthly payments for the first couple of years. There are also ways to help potential home buyers with their down payment. 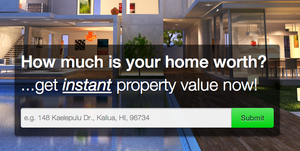 By making it easier for buyers to buy your home, we can sell it faster. Have you seen the homes that buyers are looking at when they're considering purchasing homes in your area? Do they show better than your home? Are they staged? Is yours? Is there deferred maintenance? If you had to buy your home today, would you? Or, would you buy your neighbor's house? What can you do to make your home stand out? According to the National Association of Realtors (NAR), 84% of buyers used the internet to search for a home. Unfortunately, there are still quite a few agents who are afraid of computers and do not understand the power of the new technology available to consumers. Powerful websites like Realtor.com, KWLS.com, Trulia, Zillow, Local Blogs, Multi-media and Flash Presentations, CD distribution and personal websites are only a few of the absolutely necessary techniques in today's market to get your house SOLD. Has the power of the internet been unleashed to sell your home? Did your previous real estate agent study statistics on where the buyers are coming from to purchase a home in your area? Did he or she have a strategy on attracting these buyers to look at your home? The use of technology, complete knowledge of the local market trends and competition, understanding the "buyer" and their needs is a necessity in getting your home SOLD. 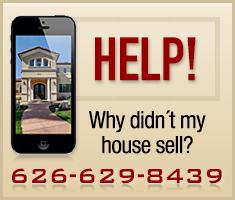 For a free and comprehensive review of why your home didn't sell and what can be done quickly and effectively to get you SOLD fast, please complete the form below or call Irina at 626.629.8439.